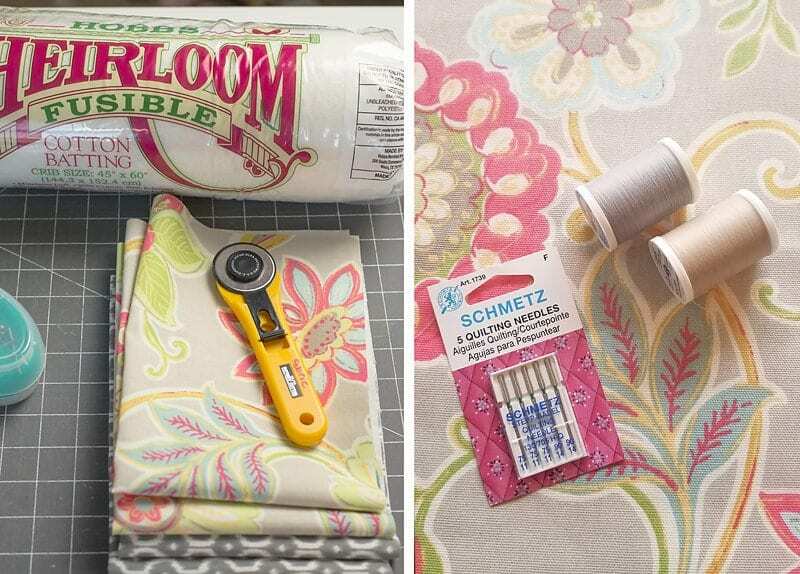 Have you ever wondered how to make placemats with fabric? 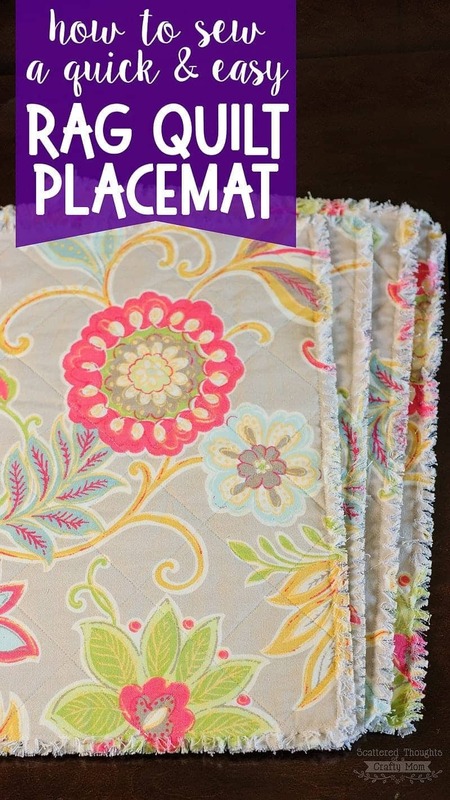 Then this placemat tutorial is for you! You will love how easy it is to brighten up your table with this colorful and easy Rag Quilt Placemat Tutorial. We have a large breakfast area that is a big focal point of the kitchen. When the table is not in use, I like to keep the table clear and dressed with coordinating decorative placemats and a centerpiece. My kids are pretty messy eaters, and we definitely need to be using placemats to protect the table. The issue I have with my DIY placemats though, is they end up being purely decorative as I’m too afraid to use them since once washed, they never look as good as when I first made them! I have a love-hate relationship with the plastic/vinyl placemats you can purchase from the store. (Love how easy they are to clean/hate that if a kid spills any liquid and I don’t notice, moisture gets under the placemat and will mar the finish of the table – plus they don’t offer any protection from heat.) 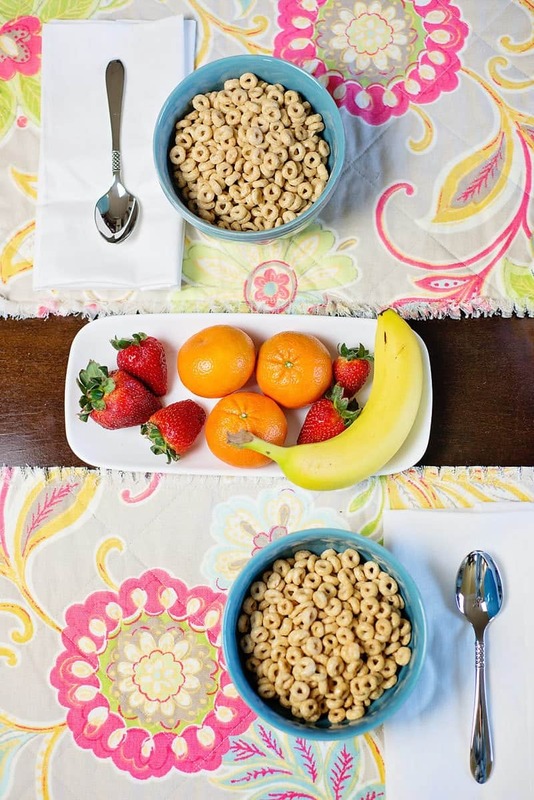 So washable fabric placemats are definitely what our family needs. My solution to this placemat conundrum? 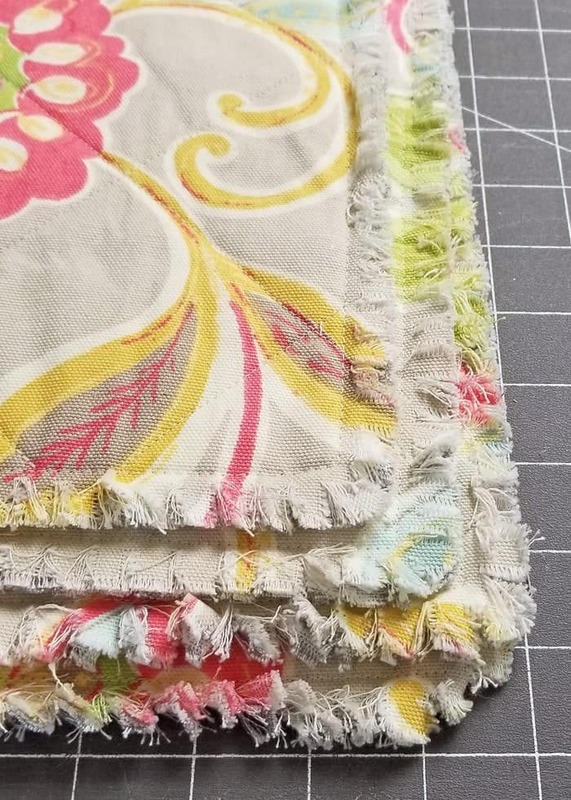 Make a set of “pre-distressed” Rag Quilt Placemats that I won’t be afraid to wash! 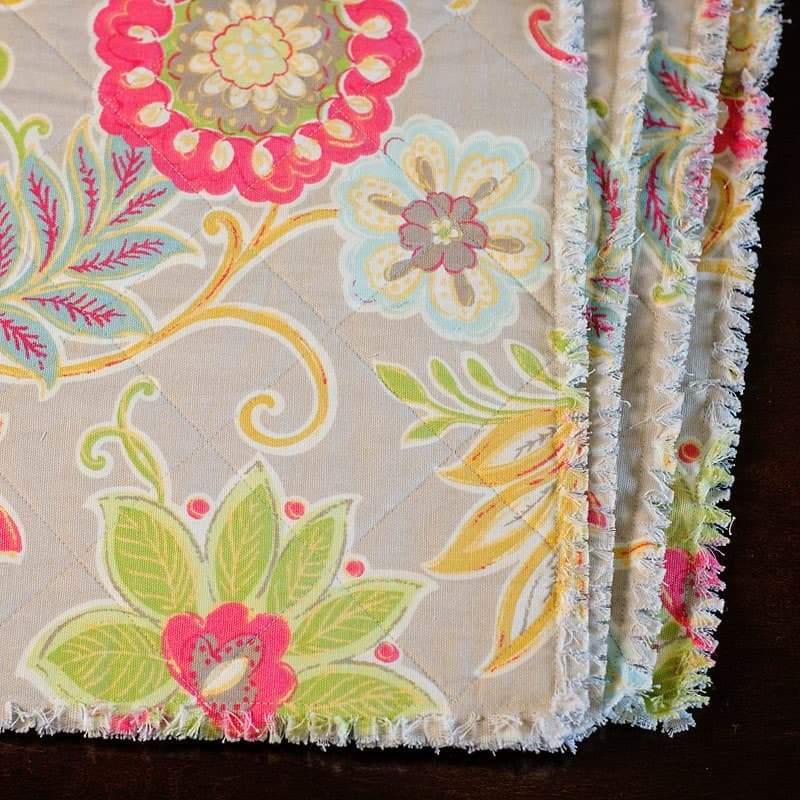 This style of Rag Quilt Placemat is meant to be washed over and over. The more you wash these placemats the fluffier and softer the edges will be – which is what I need in a placemat. I definitely won’t be afraid to throw these DIY rag quilt placemats in the wash. I will admit, once my rag quilt placemats were done, I had second thoughts about putting them into the washing machine, lol! This fabric was just so pretty and once again! I “manned up” and forced myself to drop them into the wash, lol. I really do think they turned out pretty good and as a result, we’ve even been using the table more over the breakfast bar, which is always a good thing. Step 1. Cut out fabric and batting. Cut 2 pieces of fabric 14 inches tall by 19 inches wide. 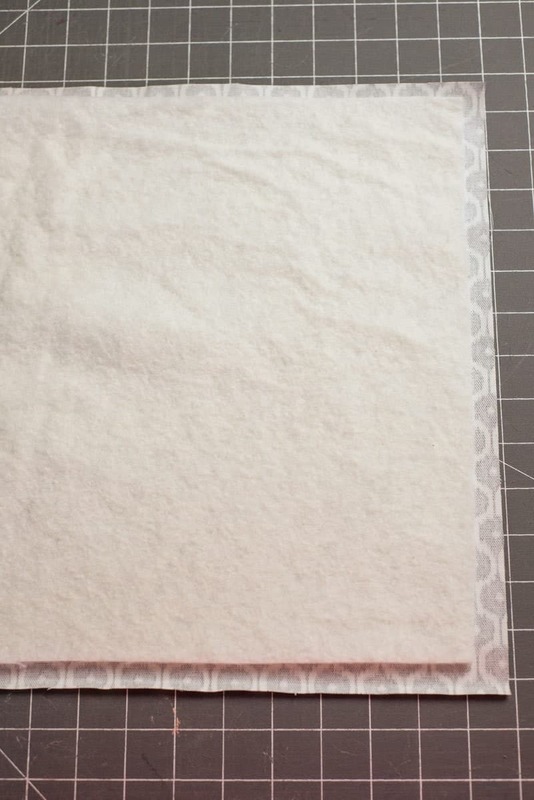 Cut 1 piece of cotton fusible batting, 13 inches tall by 18 inches wide. Sandwich the batting between the two pieces of fabric. Iron both sides of the fabric pieces to fuse the batting in place. Step 3: Quilt the placemats together. Measure 5/8 of an inch from all four edges. Using your disapearingink marker, mark the lines and sew along the marks. Using a ruler and the disappearing ink pen, draw straight lines at a 45 degree angle in both directions as shown below. 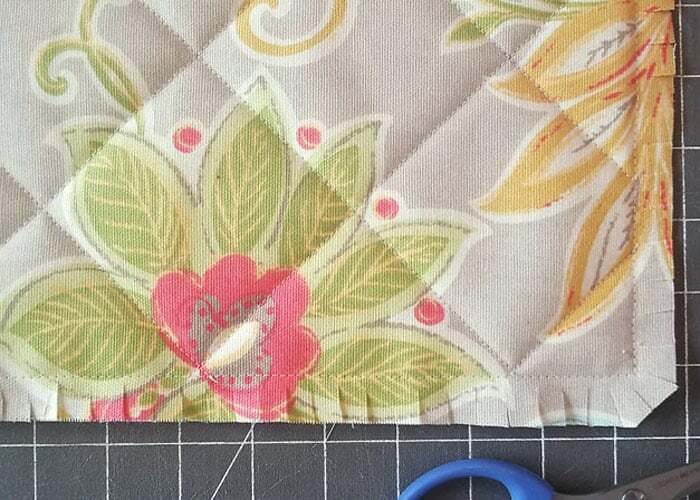 To make the quilting process even quicker, try to get your lines to intersect along the edges. 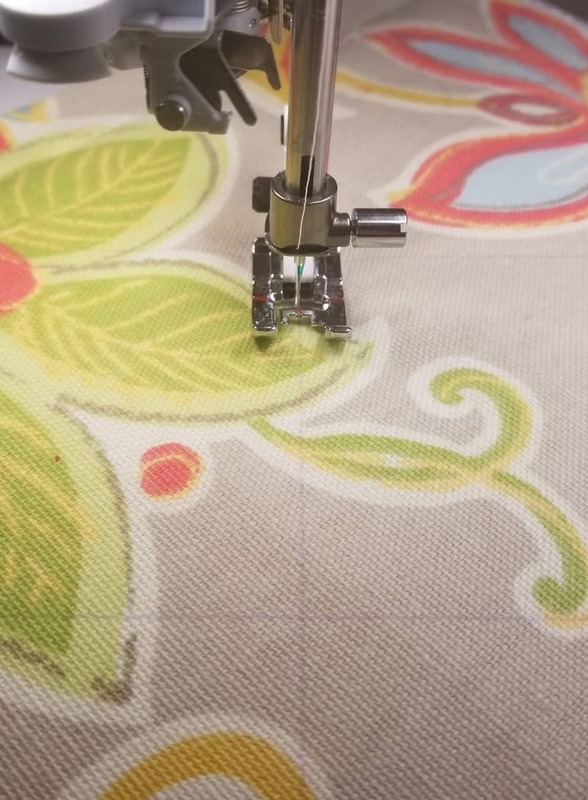 (I managed to get these marks to intersect on a couple of my placemats and I was able to quilt the entire placemat without lifting my needle. Sew along all your marked lines. Step 4: Finishing the placemat. Tie off and trim any loose treads, using the fray check where needed. 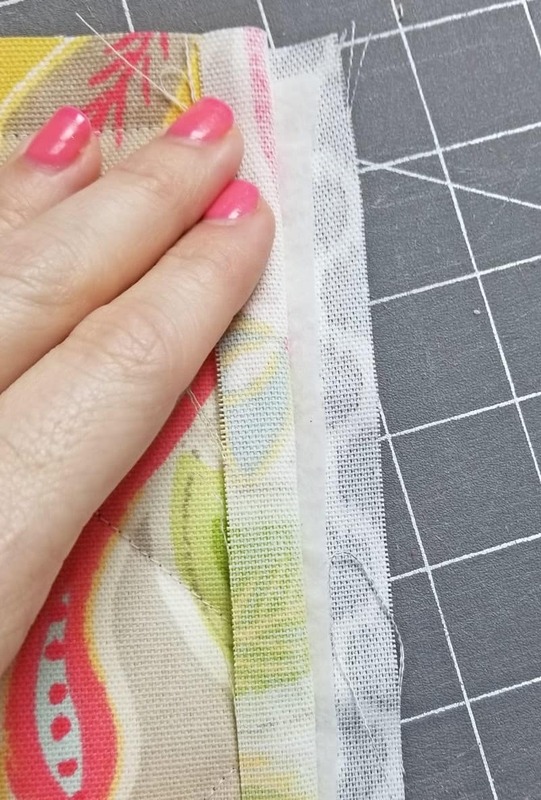 Check the batting placement around the edges of the placemat, if it’s hanging out too much in any one spot, you’ll want to trim it just a bit. 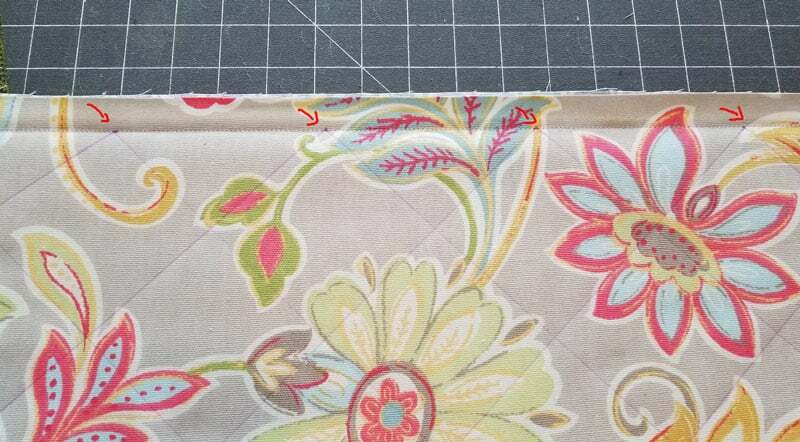 Using a pair of sharp scissors, snip the edges of the placemat in 3/8 inch increments around all 4 edges. Take care not to cut into the seam around the border of the placemat. 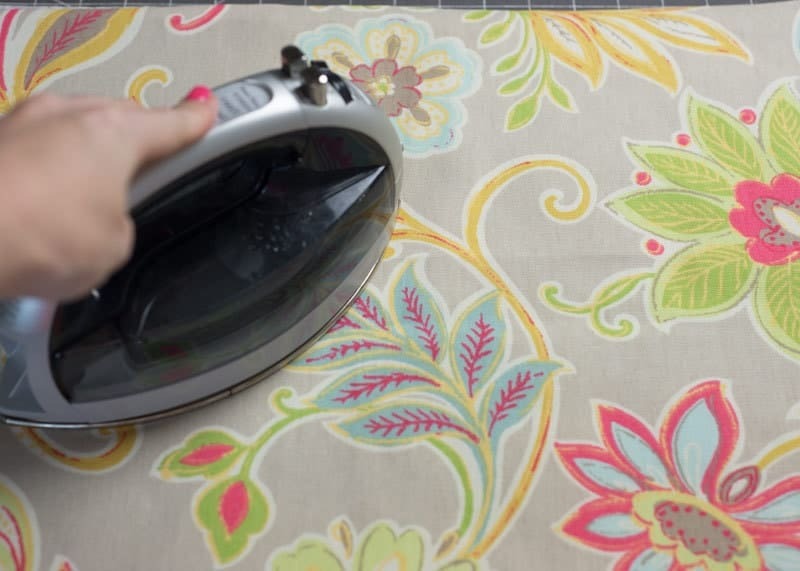 Toss the finished placemats into the washing machine and dry on high heat. (you might need to repeat for another cycle for your desired rag finish. That’s it, you’re done, enjoy your new placemats! Let me know if you end up making any of these! Question: In the notes your batting is the same width as your fabric but the picture looks as though it slightly smaller. Should the width be the same or an inch smaller? Can’t wait to grab my fabric and try these! Yes, you are correct, it should have been 13 by 18. Correcting that now. what fabric line is this? It came from Joann’s, but there is no brand information on the selvage, sorry. I LOVE these! 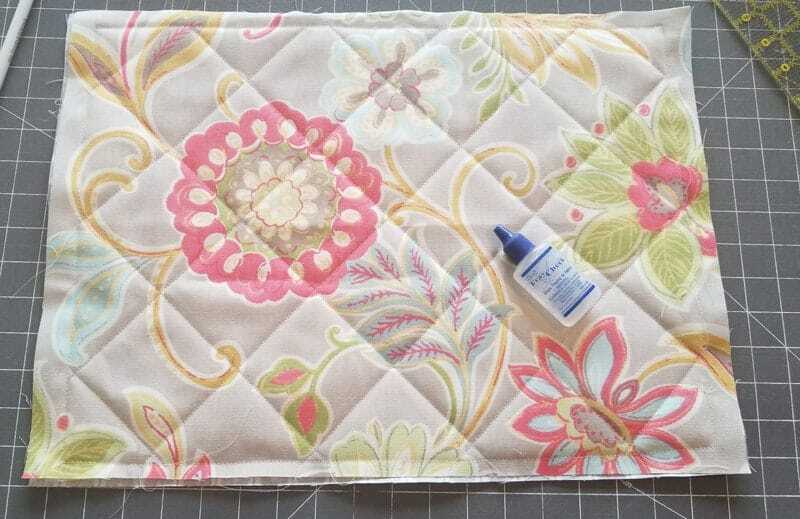 I love to make my own placemats but I’m not a fan of sewing them wrong sides together and turning them. 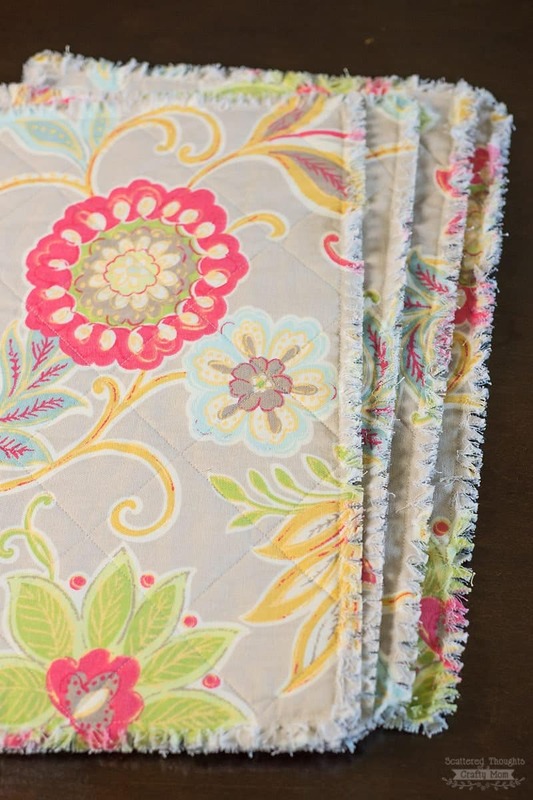 I’ve been looking for a frayed edge placemat and these are perfect! Where do you use the fray check? Thanks! ? just on the loose ends of the quilting threads. I can’t wait to make these!! Will any cotton fabric work or does it have to be a cotton twill? 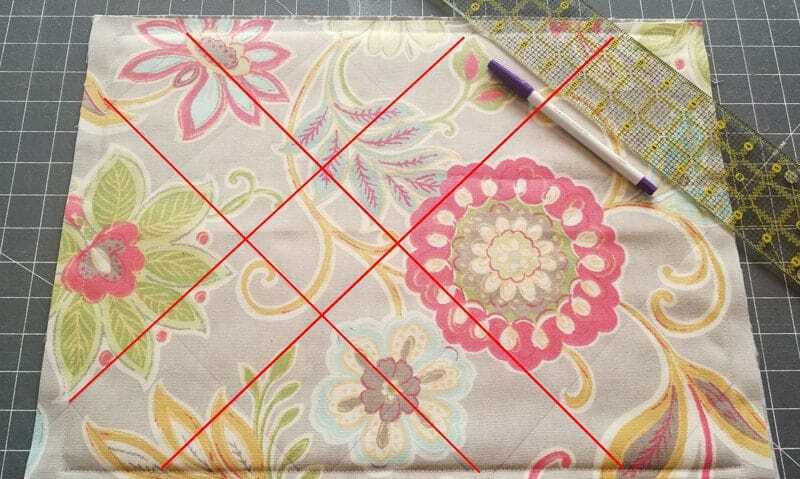 I have not tried the rag quilt method on regular quilting cotton, but I think it will be fine! Do you need to pre wash and dry the fabric to prevent shrinkage of the finished place mats? Don’t prewash, it adds to the charm after quilting. 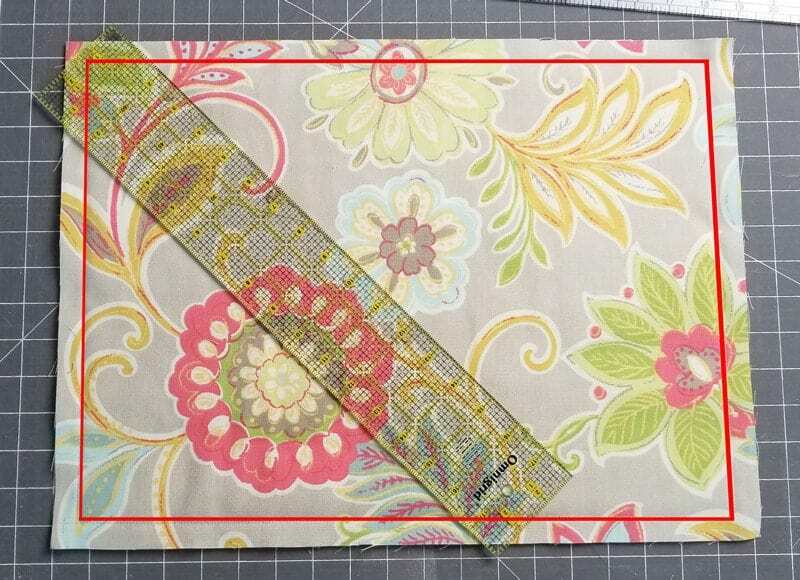 same size as fabric? I can’t wait to try these. Hi, I linked to the batting in the supply list. I Dead cut the batting slightly smaller. I don’t remember the exact dimension but you will find the instructions in the tutorial.